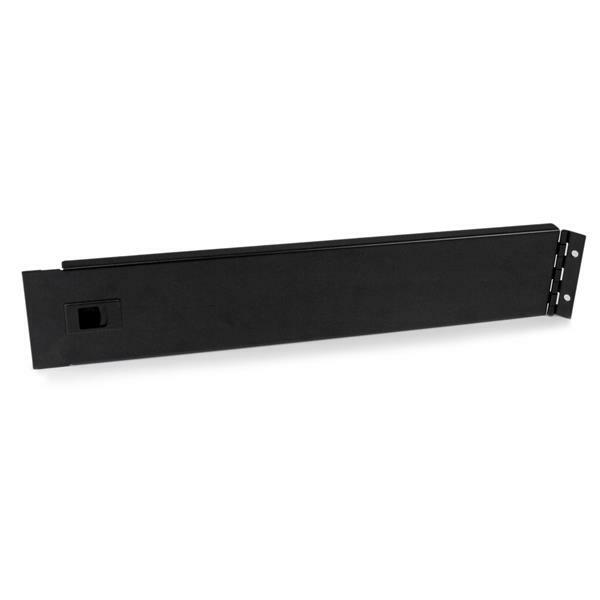 The RKPNLHS2U 2U Hinged Solid Blank Rack Panel mounts to a standard 19" 2 or 4-post rack to improve the organization and appearance of your rack, while maintaining easy access and helping to guide airflow. This TAA compliant product adheres to the requirements of the US Federal Trade Agreements Act (TAA), allowing government GSA Schedule purchases. 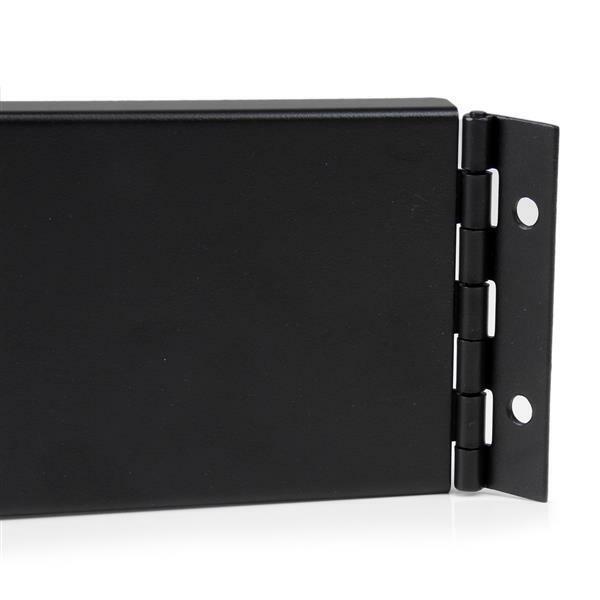 The hinged blanking panel is reversible, meaning it can be installed to open from either the left or right side for easy access to the inside of your rack, while still covering the unused rack spaces for a professional look. The filler panel is made of high-quality steel for long-term durability, plus the solid design helps to guide airflow along the back of the rack instead of passing through. 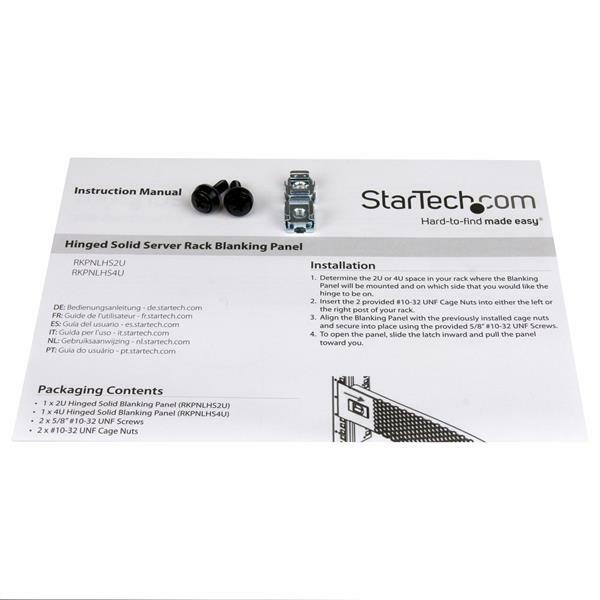 For easy installation, this rack panel comes complete with rack installation screws (10-32). 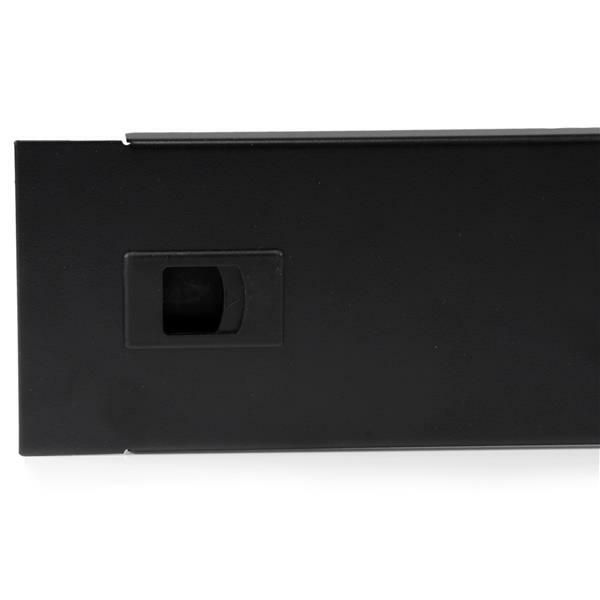 For a vented panel, please see our 2U Hinged & Vented Rack Blank Panel (RKPNLHV2U).